In celebration of Crescent Moon Games‘ new upcoming 2.5D side scroller, Paper Monsters, the developers have released a new online mini game for free called “Drag’n Dash”. This min game will also be included in the iOS version when it is released according to Crescent Moon. At this time, there is no release date set, however, Paper Monsters has been submitted to Apple for approval. We’ll keep you up to date if any more information comes our way! Popular mobile game Mini Guns game developer Riposte Games & Co has partnered with the Dallas, Texas based Furnace Games in an exciting recent announcement. Led by Allan Ditzig and Jim Montgomery, Furnace Games as agreed to let Riposte publish their next two games in 2018. Because each company has establish credibly and expertise in their respective fields, it allows both companies to to take advantage of each others strengths for mutual benefit. The first game scheduled for release is Dungeon Stars, a hack & slash dungeon crawler to be available later this year. For those that don’t know, Riposte Games & Co is the developer of Shop Heroes as well as the free-to-play game Mini Guns that released Fall 2017. Mini Guns took less than three week to attain more than 1 Million downloads after launch and is set to get a huge update sometime next month (March). As of now, Riposte Games & Co has has two games in live operations and another two games in development. Looking towards the future, Riposte is looking to partner with even more companies to create high-quality, new games. Currently there’s no more information on Dungeon Stars, the game to be released from this partnership, but we’llbe sure to keep you updated as more comes our way. Well known publisher Miniclip have soft launched their new multiplayer basketball game Basketball Stars. Players will be able to play 1v1 basketball online against others from around the world (at the moment just in soft launched countries). There are two modes to play. The first is your classic one-on-one style of attacker vs defender where you take it in turns to defend and attack. The second mode is shooting race where you must score as much hoops before the clock hits zero. There are over 300 customizable items to unlock and also more than 40 basketballs to play with. The game itself has some impressive looking graphics and from early impressions it looks to be quite popular. Basketball Stars is available for free on the App Store in Australia, Canada and New Zealand. There is no current confirmed worldwide release. Set sail and discover a world with all-new rules. Construct an Ark and stock it with provisions for your journey. Advance your Followers into the Frontier Age, where they’ll become more civilized. Discover a range of new and exciting cards. Win new items in which to decorate your world with the new Voyage challenge mode. Interested? 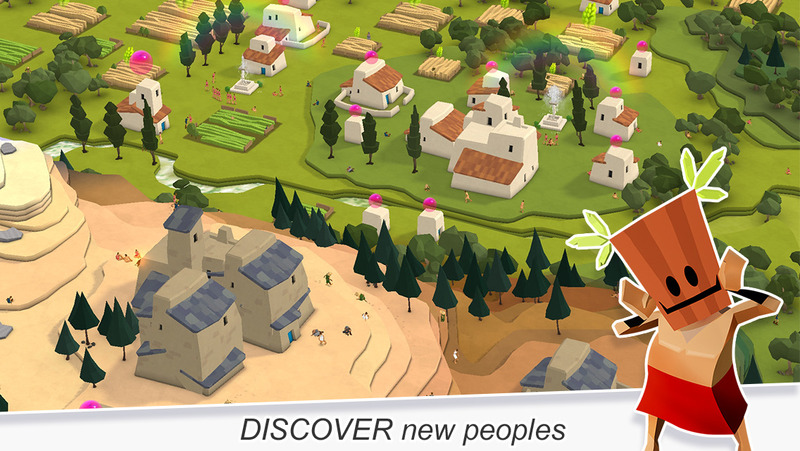 Godus is available for free to download on the App Store by clicking here, however, there are in-app purchases. Entries (RSS) | Comments (RSS) | 73 queries in 0.915 seconds.